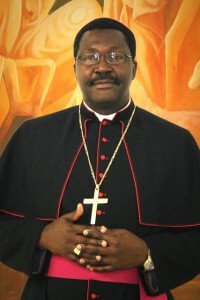 Vice President of Zambia Conference of Catholic Bishops (ZCCB) Most Rev. Ignatius Chama has expressed worry that if the spirit of ‘cadre-ism’ is not curtailed by various political players in Zambia the country might degenerate into tribal violence. Archbishop Chama has observed that if not careful with the spirit of cadre-ism in Zambia, the country risks being put on fire. “These cadres who belong to various political parties are taking advantage of this and they are manipulating the situation. They are behind most reported political violence that is taking place in Zambia,” Archbishop Chama said. Archbishop Chama noted that although Zambia has not yet experienced any tribal wars like other countries in Eastern Africa, the country is facing an inherent tribal tension that needs to be checked. “We have not seen in Zambia tribal wars as such, but underneath the current seemingly peaceful existence we have, this thing [tribe war] is burning and from time to time we hear there is violence especially during elections,” Archbishop Chama noted. Archbishop Chama has since urged all political party leaders in Zambia to restrain their carders from fuelling political violence. “It is my hope and prayer that all political party leaders should put down their feet and speak the language of condemnation and make sure that these cadres are handed over to the law enforcement authority so that this thing [political violence] is stamped out because if we do not stamp it out now, when we go towards elections in 2021, it is going to be a disaster,” Archbishop said. The Prelate further urged Zambians to work together towards coexistence and that this ethnic diversity can bring about meaningful development to our country. “Zambia is a country that has 73 ethnic groupings and that this ethnic diversity is a gift from God that we have. We can use this gift as the opportunity for us to grow together in unity and peace and enhance our development”, Archbishop Chama said. Archbishop Chama was commenting on a sub theme of the 19th AMECEA Plenary of the Catholic Bishops in AMECEA Region entitled ‘Peaceful Coexistence among diverse and ethnic grouping within the AMECEA Region’, that was deliberated on in the second session on Wednesday 17th July 2018. Catholic Bishops in the AMECEA Region are meeting in Addis Ababa, Ethiopia from 14th July to 23rd July in which, and the theme: ‘Vibrant diversity, Equal dignity, peaceful unity in God in the AMECEA region, are discussing among other things the Catholic Church’s championing for integral human development, peaceful coexistence and unity among the citizens in the AMECEA region. AMECEA region comprises of Episcopal Conferences of countries of East Africa and partly Southern namely Zambia, Malawi, Tanzania, Kenya and Uganda. Others are Ethiopia, Eritrea and North and South Sudan.